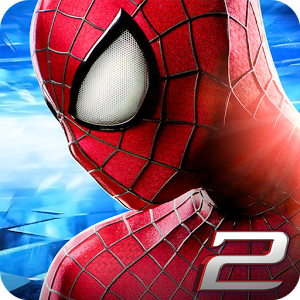 Become the Amazing Spider-Man in this open-world 3D adventure full of crime-fighting and non-stop action as you face the web-slingerâ€™s greatest challenge yet! â€¢ Web-sling, wall-climb and web-shoot as the fast and quick-witted Spider-Man! â€¢ An original story expands on the highly anticipated Marvel film! â€¢ Go beyond the Sony movie and into the comics with new characters such as Black Cat and Screwball. â€¢ Unlock Spider-Man suits such as Symbiote Spider-Man, Iron Spider and Ultimate Comics Spider-Man! â€¢ Face off against famous villains such as Venom, the Green Goblin, Electro, and Kraven the Hunter! â€¢ High-quality voice acting and 3D cinematic action cutscenes bring the movie experience to life! â€¢ Intense combo-focused crime fighting! Defeat Spider-Manâ€™s greatest enemies â€“ from street thugs to super villains such as Electro and Venom â€“ with crazy acrobatic fighting styles! â€¢ Marvel at the amazing high-quality, fluid animations as you swing freely through the open-world city like never before! â€¢ Take the fight to the sky with action-packed aerial combat! â€¢ Unleash devastating combos through enhanced icon controls for an intense action game experience! â€¢ Adventure in a larger 3D open-world Manhattan with 6 detailed districts to explore, from the bustling Times Square to picturesque Central Park! â€¢ Console-like 3D graphics offer a bigger, better, and more beautiful experience. â€¢ Be the hero in a deep story that takes you on an exciting adventure, showcasing 6 legendary villains and a super set of side missions! â€¢ Amazing heroic social events, including battling waves of bosses and opponents in Mysterioâ€™s Arena!